- Some scrap cardboard around 10"x16"
I choose to use Home Dec weight canvas for my wall organizer. It gives it a lot of stability. However, the seams where pretty thick at the end. I would suggest that if you're going to use a heavy fabric, use a regular cotton weight fabric for the back piece and back pocket. 4 pieces 18"x11" - these are the front, back, back pocket, and large front pocket piece. 1 piece 5.25"x11" - this is the bottom pocket piece. 2 pieces 2"x5" - these are the hanger pieces. 2. First we are going to make the bottom pocket piece. 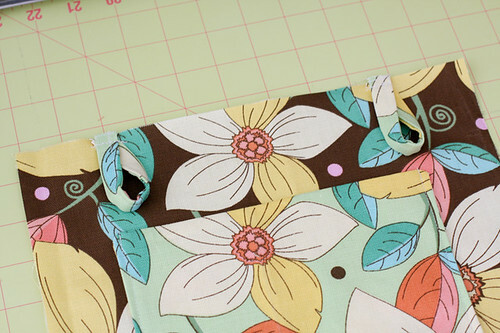 You'll need to fold the long side over 1/4", iron it, fold it over 1/4" again and topstitch. 3. 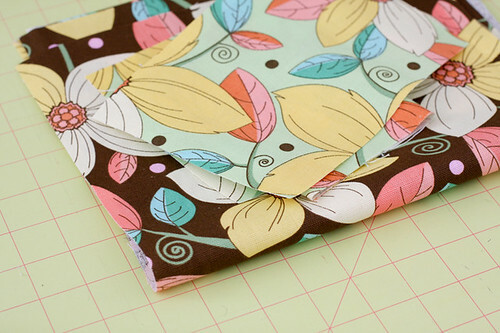 Next, take one of the large 18"x11" pocket pieces and fold it in half with the shorter ends together. Iron and topstich the folded side. 4. Take the 2 small top pocket pieces and lay them right sides together. Sew around all four sides leaving a 2" gap for turning. Clip the corners and turn right side out. Don't forget to use a turning tool or something pointy to poke out the corners. 5. Now that all of the pockets are made, it's time to attach them to the front. 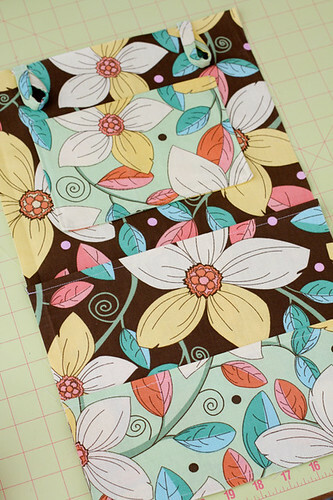 Line the large pocket piece up with the bottom of the front piece. Stitch across around 1/2" from the bottom. 6. Line the bottom pocket piece up with the bottom of the front piece. Stitch across 1/4" from the bottom. 7. Place the small top pocket piece 2" above the large pocket. Center it widthwise. Pin in place and sew along the sides and bottom. 8. Now it's time to make the hangers. 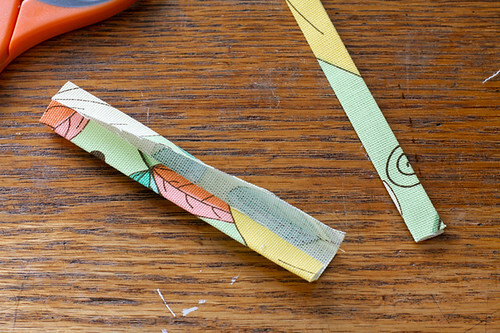 Take your hanger pieces and fold them in half length-wise. Iron. Unfold and fold both sides onto the center line created by your first fold. Iron again. Now fold in half length-wise again. 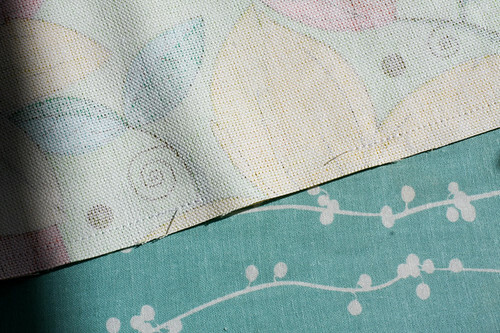 Press and topstitch. Do this for both hanger pieces. 9. Bring the ends of the hanger pieces together and pin 2" from the side of the front piece. Stitch a line across it to secure. Do this for both hanger pieces. 10. Now it's time to make the back pocket. 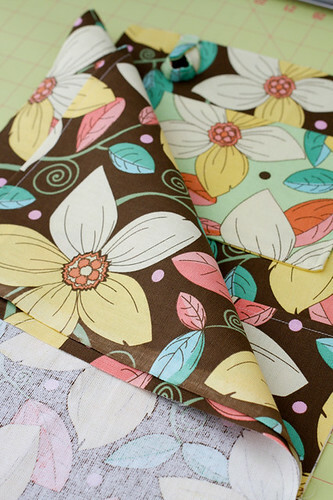 Take one of the 18"x11" pieces and fold down 1.5"-2" on a shorter size. Topstitch. 11. Time to assemble all of the pieces. First, lay the front piece facing upward. Next lay the back pocket (lined up at the bottom) on top and finally the last 18"x11" piece. 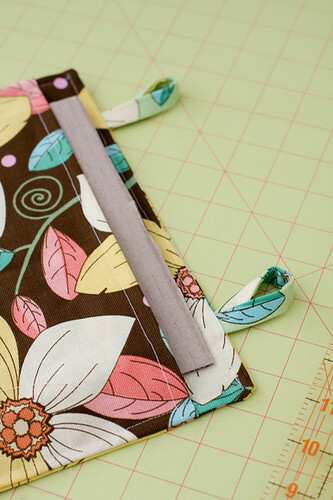 Pin and stitch around all four sides using a 1/2" seam allowance, leaving an opening for turning. Keep in mind, if you are using canvas like I did, it will be pretty bulky. 12. Iron well and topstitch on all four sides, closing your turning opening. Now, cut a piece of cardboard to fit into your back pocket, and you are done! too stinkin' easy and too stinkin' cute! I love this! I'll have to give it a try! That is sooo cute! I just love your projects and directions. I might have to make this for my bathroom. Thanks so much! I'll be linking as well. Off the precious meter! 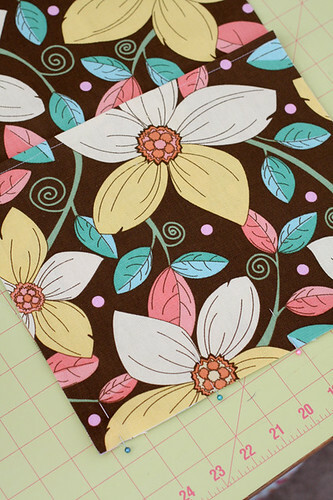 Great fabric choice and easy to follow instructions!! This is so cute, and also looks like it wouldn't take much to whip up! Great tutorial, thanks. 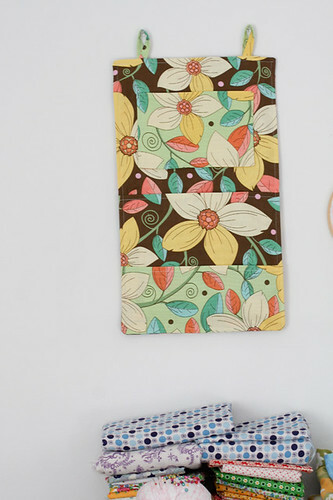 I just found this post--trying to figure out a wall organizer for the corkboard in my kitchen....just a few questions....what do you mean by "a little less than a fat quarters worth" of the second fabric, and are the pockets wide enough for a piece of regular 8.5x11 paper to go into it? I like the embroidery hoops you have fabric in as a decoration! way cute! I can't wait to show this to my granddaughter, she is 10 and we bought her a sewing machine for christmas. She made pillows mostly at first but the other night she made a pair of sleep pants, so she should be able to follow your instructions for this and it would be great for her room. Thank you so much. Thank you sososo much! I'm in 8th grade and just started sewing,so this was just right for me.Plus it was so simple, yet so beautiful! Thanks for the project! This is so easy to make and comes out beautifully! Thanks for the wonderful tutorial! I was very easy to follow! 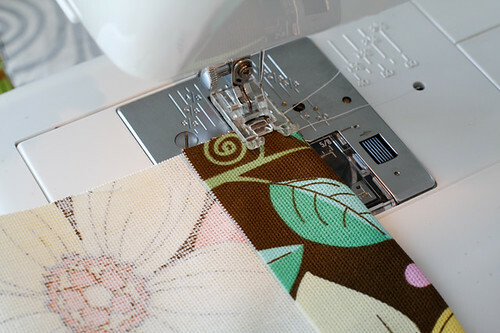 Hi, I've come via Aneela of Comfort Stitching's blog. I love your mail organiser!! Thank you for such a great tutorial! I was just about to leave this page when I saw that "Comments make you smile", so I had to let you know that this is CUTE-CUTE-CUTE--Did I say this is SuperCute? Well, it is and as soon as I get a free moment, I am gonna try to make it. Thank you for sharing this great design! 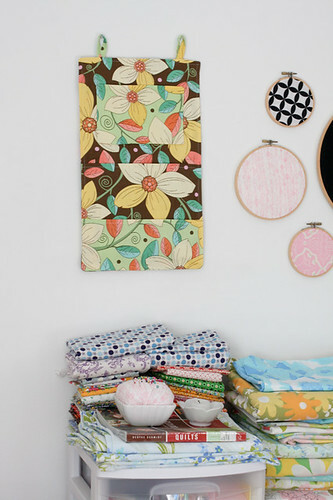 I really think this such a good idea and great tutorial, but in the next tutorial could you use fabrics that contrast more? Just made it! LOVED IT!!! THANK YOU VERY MUCH! Wall organizers were one of the choices in my Lovely Little's 4-H project. She used your tutorial, and took Champion! Thanks for sharing! I bought the material for this eons ago but finally actually did it today! Thanks so much! Thank you for the inspiration. I love the fabric. Someone taught you well at sewing. Your idea is darling but your neatness in seams and pressing are a rare site. You should be proud to make tutorials. 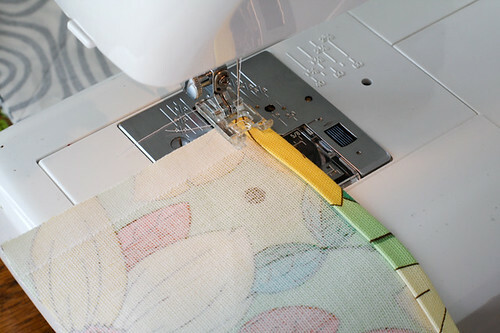 That extra minute of doing it right are a good lesson for newcomers to sewing. so cute, very good design..